As the year draws to a close and Australia’s renewable energy industry celebrates a surprisingly strong year — surprising, especially considering the general lack of support from the Federal Government — one could be forgiven for wondering why a literal “island nation” as big as Australia hasn’t turned its eyes offshore for its electricity generation. And yet, Australia has only one project in any sort of active development, the Star of the South project. Currently in early development, the project is intended to be built off the southern coast of Victoria and could boast an installed capacity of up to 2 gigawatts (GW). The country’s first proposed offshore wind farm, Star of the South could begin construction as soon as 2022 but is reliant on Commonwealth and Victorian Government approvals. Investigations and project development for Star of the South have been underway since 2012 which, if built out to its fullest, could provide electricity to an estimated 1.2 million homes. But what is stopping the development of offshore wind in Australia? Given the country is also the world’s largest island, and with over 85% of the country’s population living within 50 kilometers of the coastline — not to mention the vocal minority who think wind turbines are an eyesore — it’s a wonder there hasn’t been more attention given to building out an Australian offshore wind energy sector. In the process of wrapping up the year for Australia’s renewable energy industry, I asked Jonathan Prendergast, Technical Director for the Business Renewables Centre – Australia (BRC-A), and Tim Buckley, Director of Energy Finance Studies at the Institute for Energy Economics and Financial Analysis (IEEFA) what they thought was behind the lack of offshore development in Australia. “Offshore wind has been very successful in Europe,” explained Jonathan Prendergast of (BRC-A), a member-based platform that streamlines and accelerates corporate purchasing of large-scale wind and solar energy and storage. “In Australia, we have more available space compared to our demand and excellent on-land wind and solar resources, which does not create a pressing need for offshore wind. “Approval is more complex as infrastructure passes through water, shore, and land, often needing approval from several authorities at all levels of government. “The Australian offshore wind industry is going to struggle to catch up with the enormous, ongoing deflation in solar and onshore wind generation costs,” added Tim Buckley, Director of Energy Finance Studies at the Institute for Energy Economics and Financial Analysis (IEEFA) in Sydney. 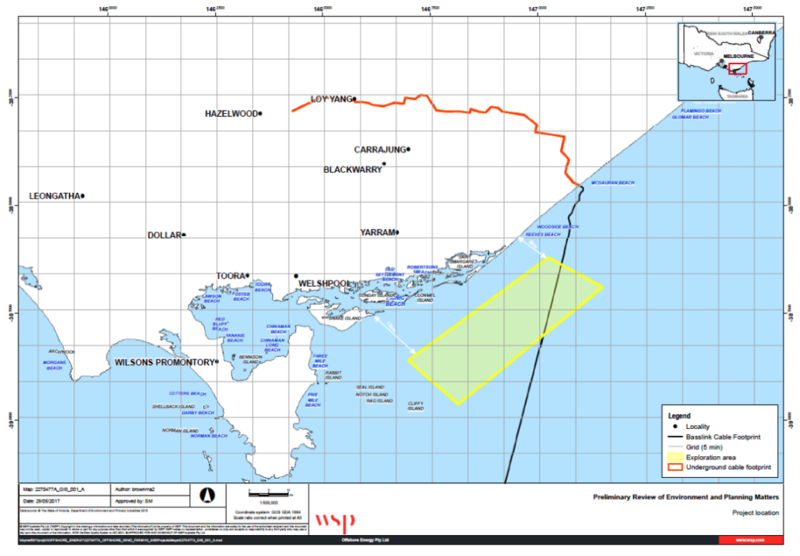 “Offshore wind is also constrained as it has the pre-requisite of a multi-billion dollar grid transmission Victoria-Tasmania interconnect spend required in Bass Strait as an enabling investment. However, the growing COAG acceptance of AEMO’s Integrated System Plan and the development of Hydro Tasmania’s Battery of the Nation investment blueprint could provide the national impetus needed. “The development of offshore wind has accelerated across Northern Europe, and the costs have dropped 50-70% over recent years. Yet Asia has been waiting for Europe to derisk this technology and drive costs down. The first Taiwan offshore wind farm tariffs set in 2018 are excessively high at US$185-190/MWh. Way too high for Australia. Costs have to drop by two-thirds to be competitive in Australia given solar is already as low as A$40/MWh. “IEEFA does expect offshore wind developments across China, Japan, South Korea and then India and Vietnam progressively to ramp up over the coming decade. Energy security risks for fossil fuel import reliant nations will drive offshore wind development. As a top three global exporter of fossil fuels, Australia doesn’t have such a pressing need for energy security.